Mark is a partner at Danks & Danks and represents individuals and businesses throughout the mid-west. Mark handles complex commercial and contractual litigation for the firm's clients. He also assists clients with the drafting of financial, supply chain, logistics, real estate, employment, trade secrets, and other complex agreements. Mark works with domestic and international businesses that provide solid waste and waste water disposal, anaerobic digester, gasifier, and power generation services. Mark also works with pharmaceutical companies, food and dairy manufacturers, financial institutions, commercial real estate developers, and other businesses. He has experience with the project and contract management, technical accounting and project finance requirements of capital replacement and waste to energy projects. Mark has also worked on several renewable energy projects, including landfill gas, coal bed and coal mine methane, and other bio-mass wastes. Mark was a private sector delegate at the Washington International Renewable Energy Conference. More than 2,800 delegates from 119 countries attended this ministerial level conference. Government officials, energy experts and private sector delegates, discussed ways their countries could develop renewable energy, promote sustainable development, and reduce greenhouse emissions. Mark has conducted numerous seminars, primarily in the area of contract and employment law, for contract managers and human resource professionals with information about legal issues in the field and with helpful, practical guidance to assist them in conducting day to day activities in the operation of their businesses. Mark received a B.A. degree with honors from Wesleyan University (Connecticut) in 1979, and a J.D. degree from the University of Connecticut in 1984. 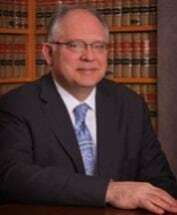 He is admitted to practice in the State and Federal courts of Indiana and Connecticut, the 7th Circuit Court of Appeals, and the United States Supreme Court. Board Member, Tri-State World Trade Network, Inc.
Past Board Member, Preservation Alliance of Evansville, Inc.